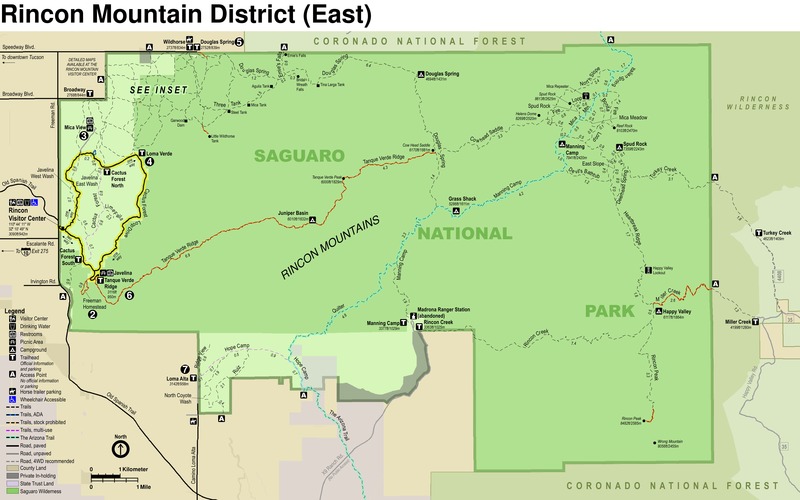 This is a short 0.4 mile one way walk from the Bajada Loop Drive to a ridge just west of Bajada Wash. From this Ridge are views to the West of Avra Valley and to the North of Picacho and Newman Peaks along Interstate 10. 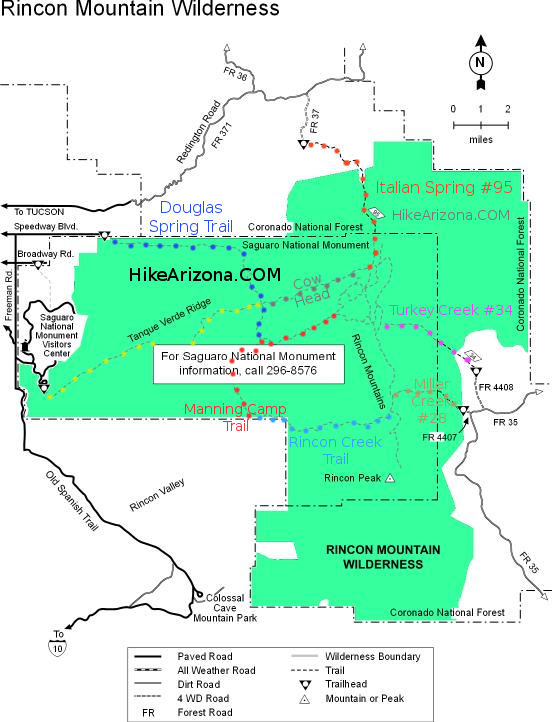 This trail was originally constructed by the Civilian Conservation Corps in the 30’s and has been well maintained since. There are Informational signs along the trail identifying the different plants along the trail. At the ridge there is a bench for sitting to enjoy the views. 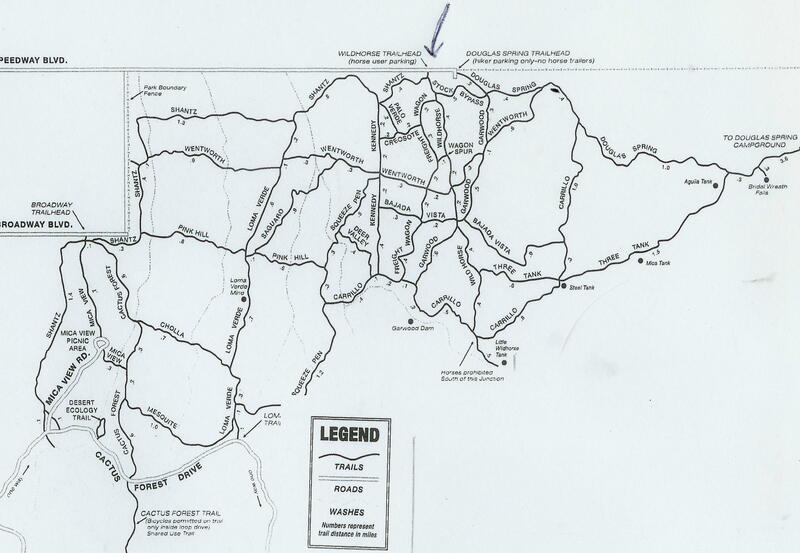 The Trail Head is 1.3 miles in along Bajada Loop drive. This is a one way road once you pass the Sus Picnic area on Hohokum Road. 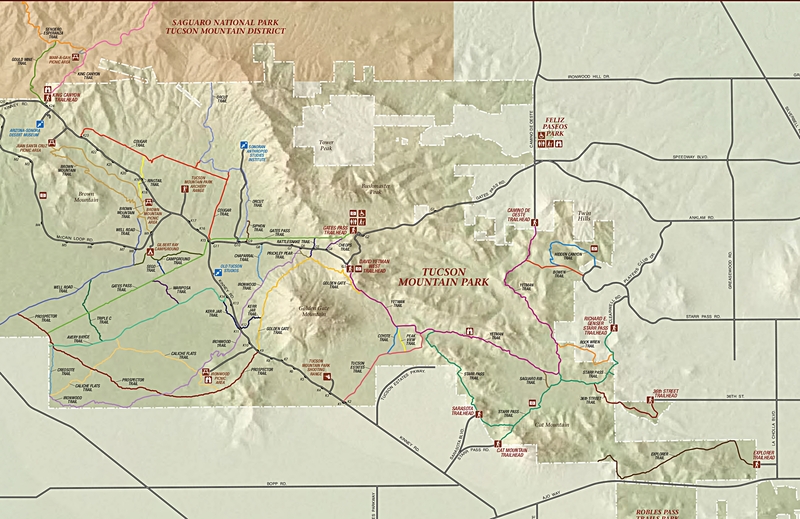 The trail heads west from the trail head parking lot and within .1 miles crosses Bajada Wash. The sign in Bajada Wash is a bit confusing; it shows the Bajada Wash Trail following along the wash and the Wild Dog Trail heading north crossing Bajada Wash. Take the Wild Dog Trail for about 50 yards to a junction and a sign indicating the Valley View Overlook Trail, turn left (west) and in about 0.3 miles is the overlook. This trail is easy walking with the starting elevation about the same as the destination elevation, there is a 40 foot drop into Bajada Wash and a 40 foot gain to the Overlook. 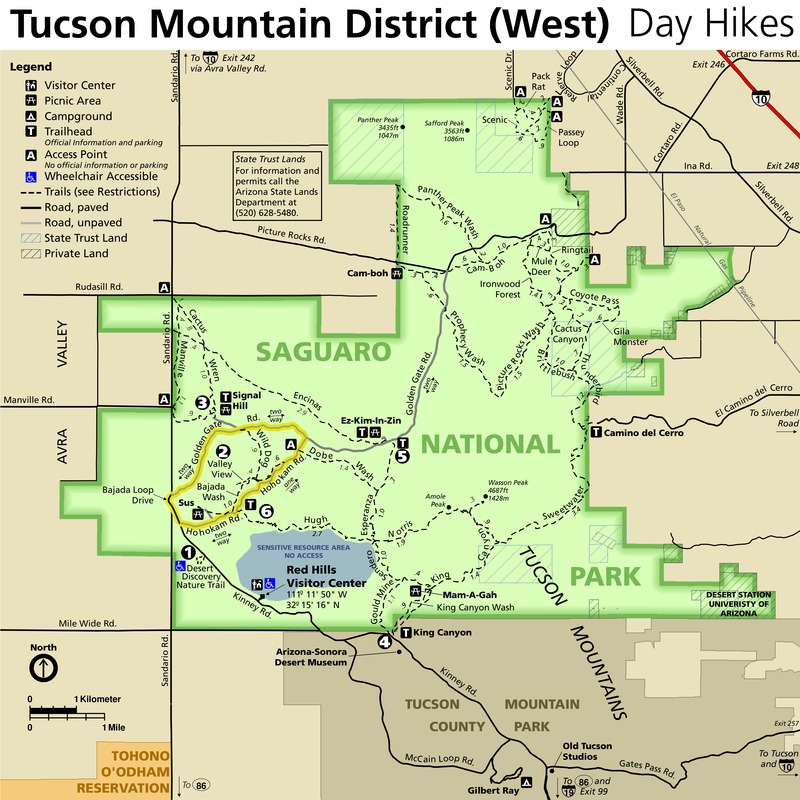 Once at the overlook there are great views of Avra valley to the west, Picacho and Newman Peaks to the north and Twin Peaks (of which there is only one left, the other peak is in cement bags all across the country). There is a bench at the overlook to sit and enjoy the views. This would be a great place to be at sunrise or sunset but not sure how well that will work since the park road (Hohokum) closes at sunset and doesn’t open until sunrise. Tucson Arizona, Saguaro national Park West. Sandario Road to Kinney Road, Turn right on Kinney Road, .2 miles to Hohokam Road. 1.34 miles to Valley View Overlook Trail Head. Hohokam Road is one way past Sus Picnic Grounds. 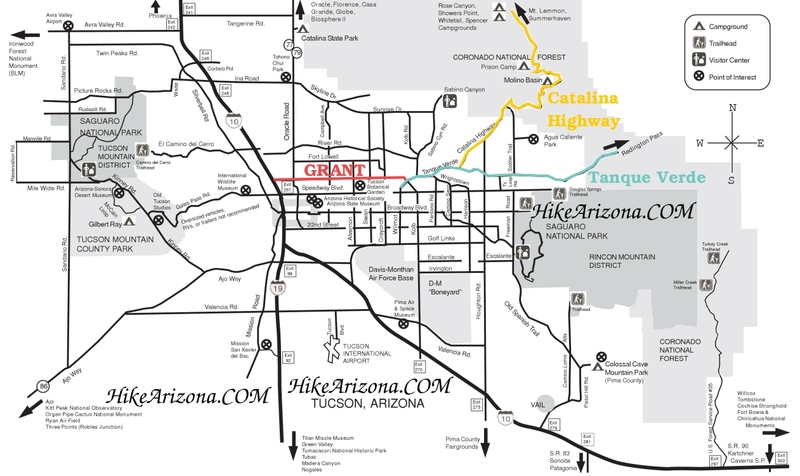 Trail head can only be reached via Hohokam Road.